Here is another addition to Spyderco's USA-made product line, the Shaman is an extremely capable folding knife with an equally impressive lineage. 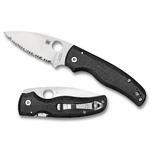 In simple terms, the Shaman's hand-filling, no-nonsense design is Spyderco's best-selling Native model—on steroids. Originally released in 1997, the Native blazed a trail as an affordable, extremely ergonomic, lightweight folder. It was also instrumental in introducing Spyderco's patented reversible pocket clip, which was a revolutionary feature for its time. Although stainless steel and carbon fiber versions were briefly produced in Japan, the Native Lightweight distinguished itself as a flagship of Spyderco's American-made product line, offering superior quality and made-in-USA craftsmanship at an extremely affordable price. In the years since then, the Native has steadily evolved through five generations and spawned a wide range of variations, including a number of models specifically geared toward the needs of military, law enforcement, and tactical users. With countless thousands of Natives in daily use around the globe, it's not surprising that Spyderco gets a lot of feedback from their owners. 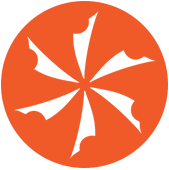 And one of the most common requests they get—especially from duty-bound end users—is for a larger, beefier expression of the same basic design. 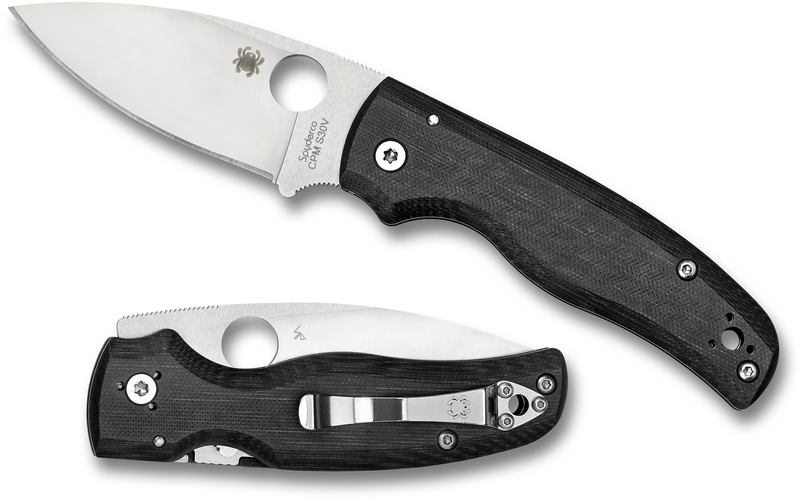 The Shaman is Spyderco's response to that demand. At 8.31 inches overall, the Shaman is about 20 percent larger than the Native, making it ideal for folks with larger hands and those who need or prefer a bigger blade. Its design offers the same refined ergonomics and proven qualities of the Native, as well as a few significant differences. The soul of this impressive design is its CPM S30V stainless steel blade, which features a very high saber (partial flat) grind and a prominent swedge (unsharpened back bevel). This masterfully executed grind balances strength, low-friction edge geometry, and an acute, utilitarian point to offer a blade that will eagerly tackle almost any cutting chore. The blade's signature Trademark Round Hole is fully accessible from both sides to support swift, one-handed opening with either hand. It features a handsome low-maintenance stonewashed finish. For tactical applications where light discipline is a concern, versions with a non-reflective black Diamond Like Carbon (DLC) coating will also be offered. Although the Shaman's handle shape and ergonomics follow the spirit of the Native, its handle construction and lock mechanism are distinctly different. The handle's scales are 3D machined from G10 and thoughtfully contoured to provide a comfortable, secure grip. 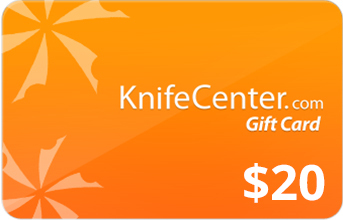 Skeletonized stainless steel liners nested within the smooth, matte-finished scales reinforce the handle's structural strength and form the basis of the knife's patented Compression Lock. This high-strength mechanism is located in the spine of the handle, where it contacts the web of the thumb during normal use and is well protected from accidental release. Its location also allows the blade to be closed safely and easily with one hand without placing your fingers in the path of the edge. To ensure convenient carry and keep the knife poised for immediate access, the handle includes a stonewashed four-position pocket clip that offers a choice of left or right-side, tip-up or tip-down carry. 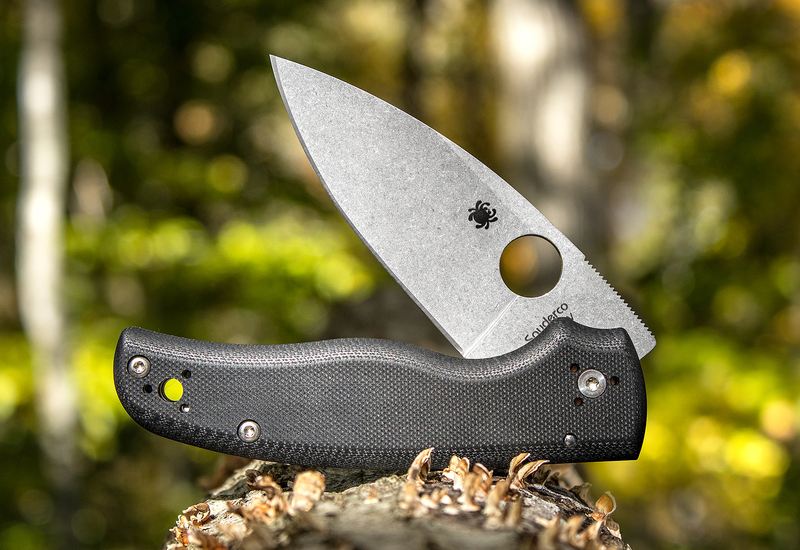 The Shaman is a powerhouse cutting tool that is deeply rooted in the success of one of Spyderco's most iconic designs and the feedback of their loyal customers. 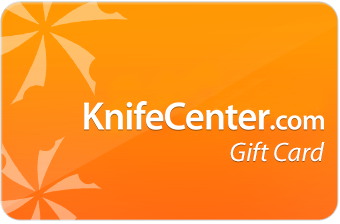 I got this knife for my son,he loves it,only problem was I had to touch up the blade a bit,now no problem.Thanks again knifecenter as always fast as a bullet. My idea of an ideal EDC for country living. Great heavy, stone-washed, s30v blade that opens and closes one-handed with equal ease. Contoured G10 handle is comfortable , and a sturdy pocket clip keeps this substantial and functional knife securely in my pocket. This has become my most-carried knife, preferred over my Blurple Para 2, Delicas, and Benchmade 940s -- all fine EDCs, but the Shaman is the one i slip into my jeans most mornings. Made in Colorado. Ill agree with Mark, the compression lock is pretty useless in the real world. Ok for cubical life, but not for outdoor, gloved hand cold finger use. Needs a back lock, Failsafe, and can be used with gloves on, in the cold and a back lock wont fail by getting full of fat or mud. Handle is good, could be better with a more textured surface, handle is straight enough to use knife in skinning/gutting mode, upside down. 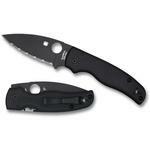 The blade profile is just ok, a straighter spine is always better, something like the pm2. But it works. Which brings us to the S30V steel, so many better steels this blade could have been made from, agreeing with Mark again in saying S30V may not be the best steel to make a hard use, utilitarian, outdoor edc knife from. Hopefully, a model or two from super steel, like M390, M4 ect...However S30V works and odds easy to sharpen. Overall, a good knife, that spyderco really needs in its lineup, but could be much, much better! Hey, I wanted to share "Spyderco Shaman Folding Knife 3.58 inch S30V Stonewashed Plain Blade, Matte G10 Handles" with you from KnifeCenter.